I recently purchased, with my girlfriend Amy, the National Geographic sixth edition Guide to National Parks of the United States. I thought it’d be a great companion for the American the Beautiful annual National Parks pass I planned on purchasing this year. There are just so many national parks I plan on visiting this year that it only seemed logical. And with one national monument, the Florissant Fossil Beds, below, already under my belt I’ve already started getting my money’s worth. In regards to the guide, I believe it will be very useful. I’m willing to go out on a limb even before actually using it and recommend it to anyone planning on a trip to some of our national parks this year. And I have no fear in giving this recommendation. 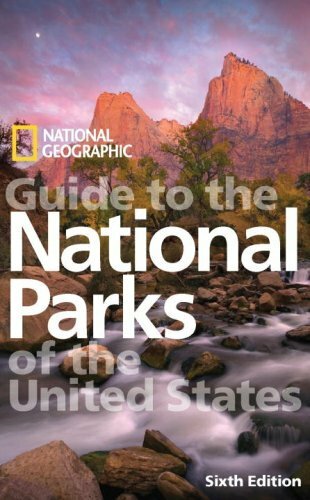 It’s a National Geographic guidebook, so of course it’s littered with superb photography, great tips on what to see and how to see it best, and notes on side excursions to nearby state parks, national monuments, national wildlife refuges, and more. I plan to put this book to good use this summer with a bunch of different trips. Many are going to be to national monuments and state parks that aren’t talked about in great detail in the book, but there are several national parks that I hope to take full advantage of with both the book and my pass. Some of the parks I plan to visit this summer are Rocky Mountain NP, Arches NP, Grand Teton and Yellowstone NP, and the Wind Cave NP. And that’s on top of all of the national monuments, like Mt. Rushmore, and Colorado State Parks that I hope to get to as well. All these great places are here around us, and many within a short drive from home, so it only seems right to take advantage of our National Parks system and learn about the world around us. And with the help of the National Geographic Guide to the National Parks of the United States, I’m not sure I could be any better prepared.